What one teenager discovered by watching her peers. Cliche: I’m a teenager and I love my iPhone. When I watch slam poems performed on YouTube or listen to the newest Sufjan Stevens song on Spotify, my phone immerses me in culture I would otherwise be unaware of. When I refresh my News app or Google the history of the Eiffel Tower, my phone broaches the space between ignorance and knowledge. When I text my friend in another timezone about his day or that Roxanne Gay book we both mean to read, my phone helps me maintain relationships. I am influenced by the services my phone provides and my phone is indelibly marked by my preferences and habits. My phone and I have a symbiosis, like clownfish and anemones. But because I belong to the “teen age,” most of the person-phone relationships I observe resemble those of parasites and hosts. When anyone my age has a few seconds to spare, their hands immediately start gliding across a phone screen, hunting for the newest Snapchat story update or Instagram post. It doesn’t matter who they’re with. I have seen my friends curl into their phones in the middle of parties. I have watched as friends sit on my couch and scroll aimlessly through Tumblr, talking to Internet users thousands of miles away instead of me, three feet away. There’s never a precipitous break in the conversation. All it takes is a second of silence, an instant unruffled by movement, and a phone emerges from someone’s pocket. If any stimuli fails to be engaging, the phone comes out. I have seen my classmates Snapchat someone across the room while our teacher looks for a new piece of chalk, classmates trip down the stairs as they stare down at their screens. I once saw someone whip out their phone during a game of gym volleyball, only to have the ball strike them between the eyes seconds later (both a hilarious and a sad sight). It all made me wonder: Why am I, a thoroughly average teenager, able to exist without my phone while many of my peers can’t? What’s the difference between loving and using your phone and being addicted to it? I believe phone addiction starts when teenagers replace their internal monologues with the Internet. Instead of confronting a concern or a doubt in the five minute wait for their bus, the teenager chooses distraction. They don’t have time to contemplate their own feelings when they’re focused on aligning the dog-face Snapchat filter over their nose. They can’t always hear their conscience over the hubbub of new Instagram pictures, funny tweets, and Snaps from friends. Teenagers don’t need to talk to themselves; there’s always someone inside their screens, waiting to chat. This phone addiction is so much easier for teenagers from the age of extracurriculars. Due to well-meaning intervention of their parents, modern kids grew up without learning to exist in their own minds. When I was younger, I watched the majority of my classmates shepherded from one distraction to the next — playdate to soccer practice to violin lesson to family function to home filled with noisy siblings, etc. Every five-year-old engaged in dozens of fun activities, true, but in a specific location and at a specific time: free time never belonged to them. As an only child with working parents and relatively few friends, I had free time just for myself. And I loved it. I could draw people with wings and lightning-bolt hair, or create my own fairytales, or read the same book four times in a row all because I wanted to. I had time to think by and for myself, and by the time I got my first phone, I had an active inner voice. My phone became a tool to further what I was already thinking and doing. My classmates, who were largely taught to stay distracted but whose lists of distractions were being whittled down to accommodate schoolwork, viewed their phones as their replacement for tee-ball and tap lessons. Except unlike tee-ball, iPhones provide entertainment at all hours. Is there any way to beat teenage phone addiction if it starts in preschool? I’d like to think so. 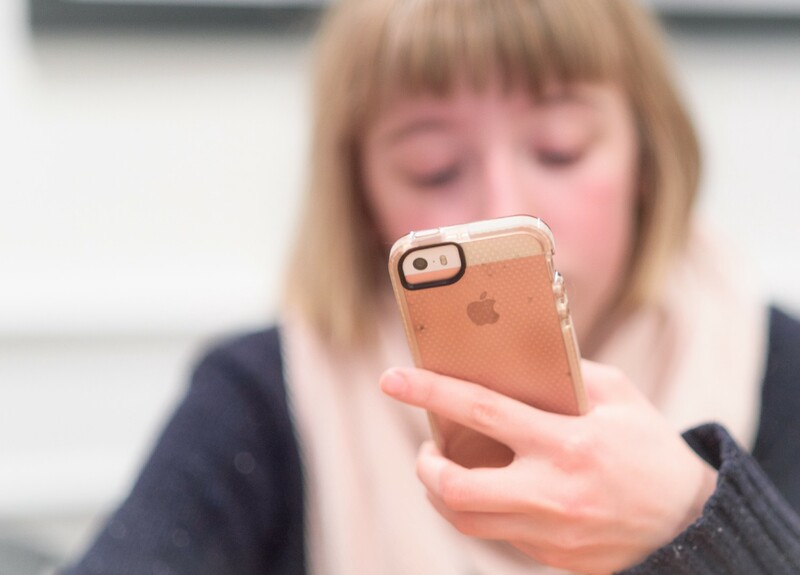 Like so many things, a healthy phone relationship stems from mindfulness. If you use your phone when you need to know something or when you want to talk to someone specific (essentially when you have a purpose to use it), your iPhone becomes a tool. It might be hard for teenagers to establish that conscientious mindset by themselves. Most have been programmed — not unlike an iPhone — to behave as they do. So while we need more conscious teenagers, we need more conscious programmers too.